We’ve all been there. You’re going about your diet, things are going fantastically, and then out of no where, the scale just stops moving. It won’t budge. Try as you might – you even shift your weight around slightly praying that will set it on a downward swing, that scale is staying put and you have to face the cold, hard facts. You have not lost a single pound. So what’s the deal with this? How come you were doing so well and now your progress seems to have vanished into thin air? When the scale stops moving, there are a few important things that you must consider. Let’s take a quick peak at what these are so next time this happens to you, you aren’t left in the dark. The very first thing that you must do if you notice the scale stops moving is to assess your calorie intake. And when I mean assess your calorie intake, I mean really assess your calorie intake. Are you taking a little bit here and a little bite there and not counting it towards your daily total? Have you gotten lazy and stopped measuring your food and are now just eyeballing it? (without your glasses on?) Have you fallen off the diet more times than you could count but just decided to put those behind you and not think about them? If so, this is likely your problem. Remember, fat loss does come down to consuming fewer calories than you burn off daily so if you are actually eating more than you think, it will be no wonder you aren’t making progress. 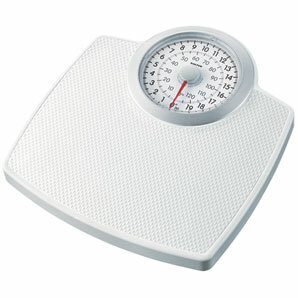 Get the calorie intake in check and you might just find the scale moves in the direction you want it to once again. Now, I’m going to suggest something opposite of what you think you should be doing. Have a cheat day. A cheat day? That’s probably what you’re thinking. But in some cases, if you have been using a very low calorie intake and haven’t been adding little unaccounted for bites here and there, then the problem may be that you’re suffering from a slow metabolism. And, what’s the best cure for a slow metabolism? More food. Feed it more calories than it’s used to and it’ll speed right back up so that when you do move back to the diet, you see weight loss again. If you can’t remember the last time you had a high calorie day, now is the time to have one. Treat yourself and enjoy it knowing it’s all part of your master plan to success. Finally, the last thing you might consider is re-evaluating your calorie intake. If you’ve lost more than 20 pounds on your diet (and kudos to you!) then it could just be that the calorie intake you’re using now has become your maintenance. 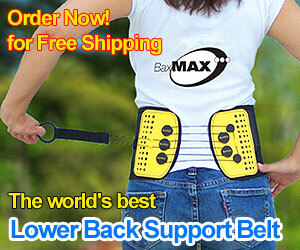 After all, you have less body weight to support therefore won’t require as much energy. Make sure to re-evaluate your target calorie intake every so often to make sure it’s in line with your goals and appropriate for your body weight. So there you have the three things that you should do next time that scale just isn’t agreeing with you. If you put these into place, then you should be able to get back on better terms with it so that it doesn’t ruin your morning. What do you do when you hit a weight loss plateau? if it did not work,and gain more weight, what should we do?